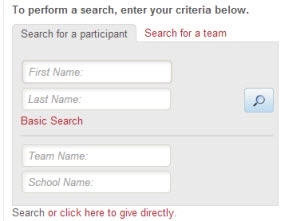 On the Search for a Participant page, go down to the search box. You can select to sponsor a single Participant or a Team. To search for a Participant, enter their name and click the search icon (magnifying glass). If you enter St. Charles - Burlington in the School Name: field and click the search icon, you'll get a list of all Participants and Teams at St. Charles! From the Personal Page, click on their Support button to make a donation! 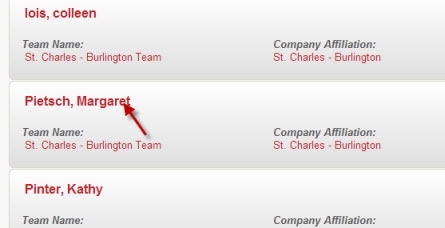 On the St. Charles - Burlington team page, click the Join Team link to join the team. On the Participant Page, follow the instructions to sign yourself up. Thank you for joining our Team!